Download the FREE Hudson Law Office CRASH App to your Smartphone and be ready for anything! Download our CRASH App from the iPhone App Store or Android Apps at Google Play. 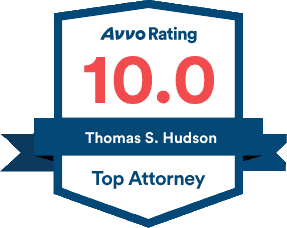 At the Hudson Law Office, we try to protect our clients, even if they're not our clients yet. And we try to stay out in front of the pack when it comes to technology. We have commissioned a FREE application for your smartphone that will give you step-by-step instructions if you should ever be involved in an traffic accident. It will tell you what information to get. Then it will open the camera of your smartphone for pictures, and a voice recorder to take recorded statements of the witnesses to the wreck. And with one click, you can send all of that information to us, so that we can start working on your case before the trail gets cold. You can download the App to your Android phone here. You can download the App to your iPhone here.